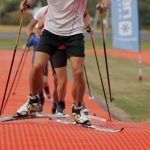 The center Transgraniczne Centrum Turystyki Aktywnej in Poland is well known for offering the client different activities like Nordic walking, Skiroll and cross country skiing. It is a complete facility that offers the customer various services, such as equipment rental, changing rooms, and a restaurant, in order to pamper the customer and make him/her fully appreciate a beautiful day of sporting. To broaden the offer, the center has decided to focus on the most popular activity and make it available not only in winter but throughout the year. 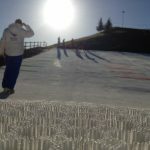 Neveplast was contacted and did not disappoint the expectations by proposing an artificial ski slope for Nordic skiing. In fact the developments of the Italian company did not stop at developing the skate skiing tracks but also include the classic track, whereby the binaries were created in compliance with the FIS standards, to offer the users a perfect alternative for both techniques when there is no snow. 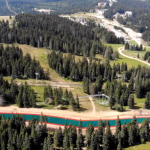 The ski slope of Neveplast is designed to suit all experience levels: from beginners who want to take the first steps in total safety (in fact a lot of individual and group lessons are planned) as well as expert skiers and professionals who want to improve their performances. The ski slope is installed in a ring: an exciting circuit composed of lanes for both classic and skating technique, with features that allow racing throughout the whole year. 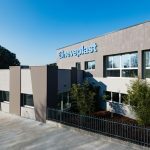 Откройте для себя все продукты Neveplast!